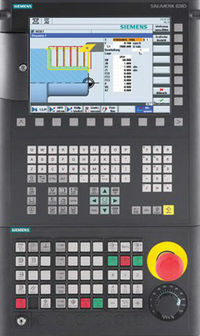 Revolutional feed has been programmed for contouring and synchronous axes or for an axis/spindle. However, the rotary axis/spindle from which the feed is to be deduced is not available. Correct part program or set the setting data 43300 ASSIGN_FEED_PER_REV_SOURCE correctly.